Every account has a basic report template added to every project. 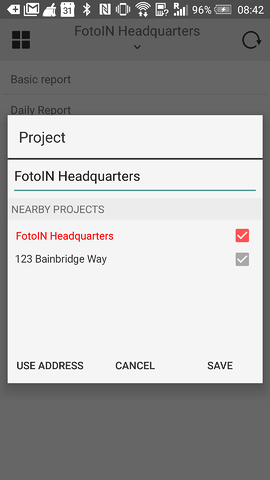 To start a report, tap Report from the gallery and a list of available templates for your current project location will be displayed. Project edit screen will pop up automatically, if there are multiple projects on the location or if you need to establish a new project. Select the Report you want to start and click Start Report. 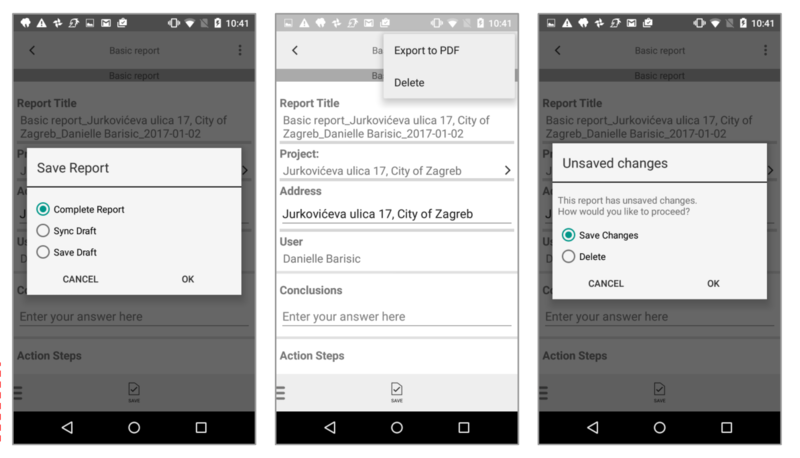 TIP: Sync will download ALL new report templates from the web portal to the mobile app, assuming user has access. Every report starts with the review of the Key information section. Start answering questions by entering data, selecting choices and snapping photos. 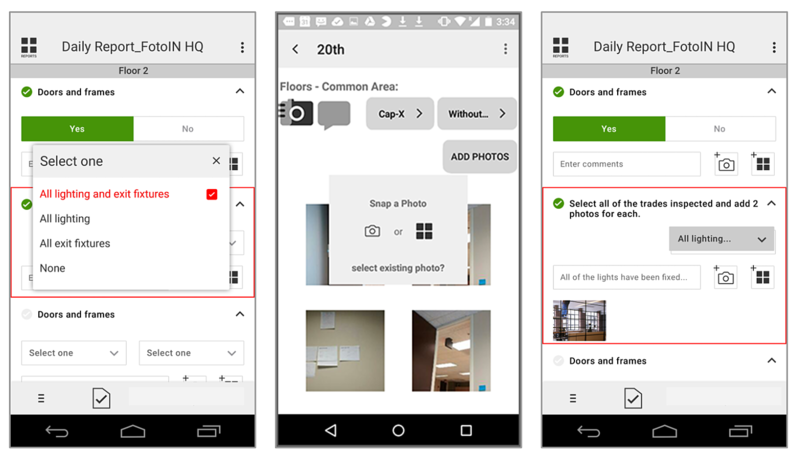 To add an existing photo to a report from the gallery: tap on the camera icon or ‘Add Photos’ and then select the gallery icon. To add new photo to a report: tap on the camera icon or Add Photos and then select the camera option. Make sure you have ‘Review & Edit’ turned on/off depending on how many photos you need to add. To add a new photo to a report: tap on the camera icon or ‘Add Photos’ and then select the camera icon. Make sure you have ‘Review & Edit’ turned on/off depending on how many photos you need to add. Tap on the Comment icon to add comments to the question. Export to PDF also lets you email or complete upload. *New question UI coming in February 2016. TIP: When adding new photos to a report, remember you can take new photos as well as apply tags, add comments, and add annotations to those photos while still in the report. 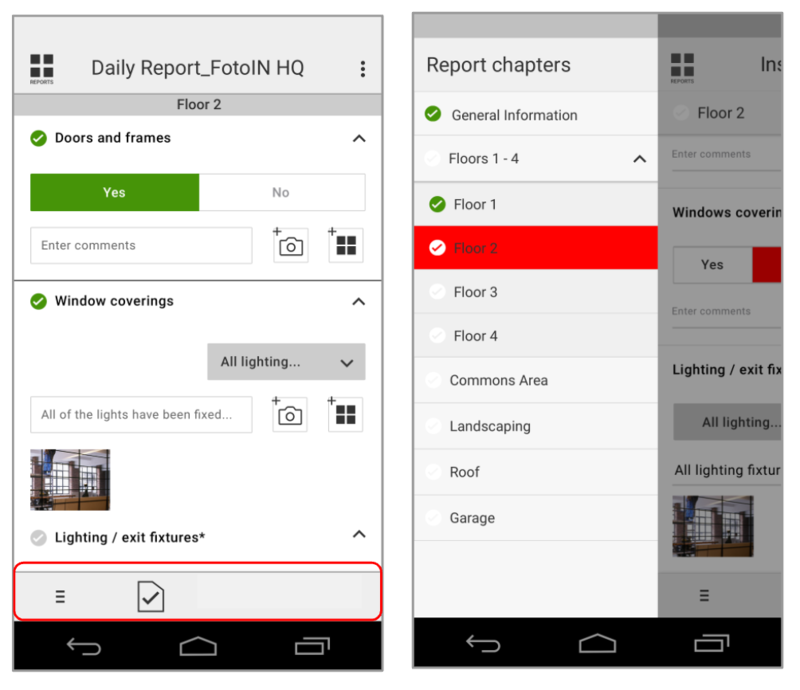 Reports can be organized into ‘Chapters’ or ‘Sections’ for easier navigation during field editing. Swiping from the left edge of the screen does the same action. Tapping on a chapter will open up the corresponding section. Close the drawer by sliding it to the left and continue snapping photos and collecting data. TIP: All sub-chapters/sub-sections pertaining to one chapter, will contain the same questions. Complete Report to finish the report, create a PDF and file it to the correct folder in the storage system. Trying to navigate away from the report will prompt a dialog to ensure that none of the work is lost.